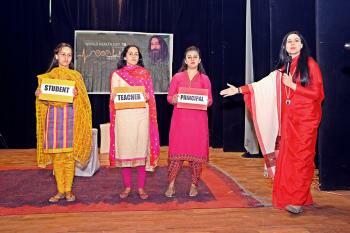 Furthering the mission of revival and promotion of Ayurveda as mainstream 21st century curative therapy DJJS Holistic Health Initiative ‘Aarogya’ organised its 10th Annual Sharad Purnima Ayurvedic Camps at DJJS centres based in Punjab, Haryana and Delhi on 26th Oct 2015. 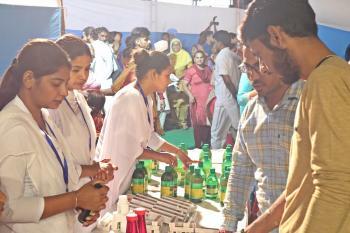 Thousands of people from across the country thronged at these camps to reap health benefits. Sharad Purnima, the sacred Indian festival celebrated at the full moon night to mark the close of monsoon and onset of winters, beholds great medical significance. 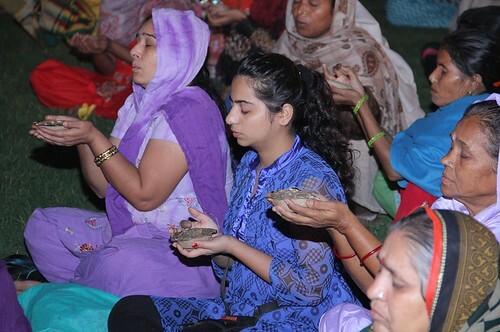 Ayurvedacharyas affirm that full moon of Sharad Purnima emits rays which have medicinal properties. 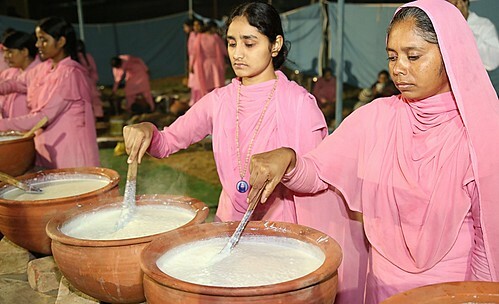 It is for this reason, traditionally the festival is celebrated by fasting through the day and opening the fast by consumption of a special rice and milk preparation (Kheer) cooked in mud/ silver vessels in open moonlight. Enriched by the medicinal rays of the moon, the special kheer preparation is believed to cure several diseases which a person may confront with the onset of winter. It is considered very effective in the treatment of pitta doshas. In addition, the festival has great spiritual significance, dedicated to the worship of goddess Lakshmi, a seeker calls upon the mother to bless him with divine qualities. 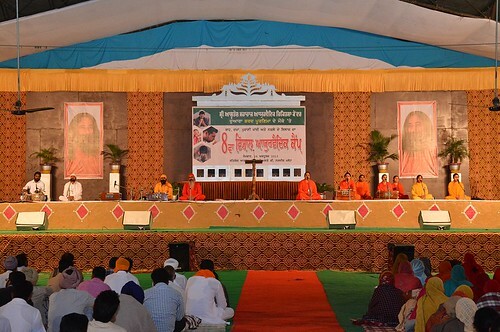 Under the divine guidance of His Holiness Shri Ashutosh Maharaj Ji, founder and head of Divya Jyoti Jagrati Sansthan, DJJS Sharad Purnima Ayurvedic Camps have been specially designed to revive and extend spiritual, scientific and medical intent of the festival. 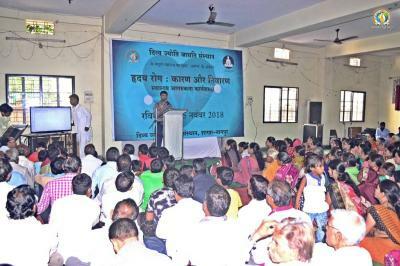 The program commenced with collective peace prayers and group meditations which serve as relieving medication for the restless mind and prepare the being to reap wholesome health benefits. 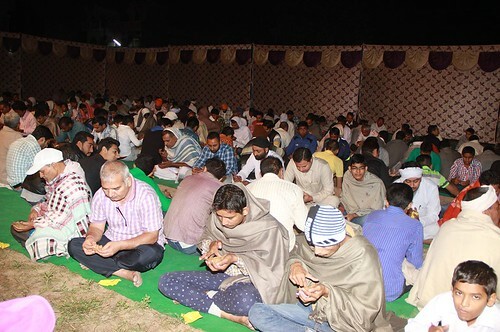 And as the clock struck midnight hour, with Om chanting the special ayurvedic formulation for the treatment of chronic respiratory diseases like asthma, cough & cold was administered with the special kheer preparation. Thousands from across the country including men, women, children, first timers, second timers and the regular beneficiaries consumed the medicine with hearts brimming with faith and lips moving in prayers. 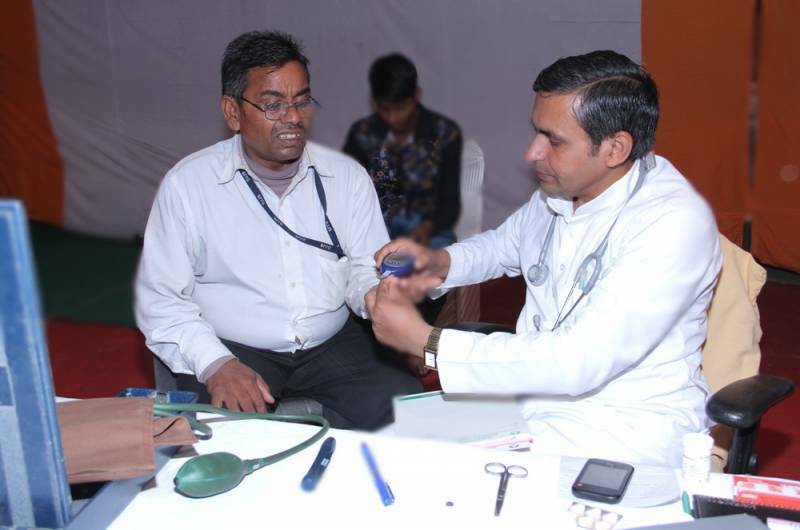 In addition to the medicine, DJJS Sharad Purnima Ayurvedic Camps served as sensitization hubs building faith and connecting people with the traditional ayurvedic treatment therapies. 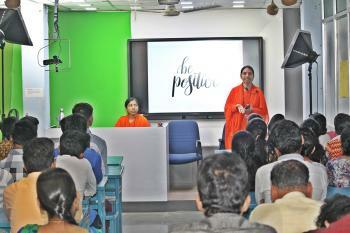 Special sensitization lectures and presentations were organised by experts in the field namely, Dr. Harish Thakaral, Nutritionist, Nourisure Herbal, Vaidyaraj Kripal, Dr. Harpal, HOD ICU, Max Multifacility Hospital, Dr. Paraminder Modgil, Mr. Murlidhar, District Ayurveda Officer, to raise awareness on Benefits of Ayurveda in 21st century living.